Strongsville Vacuum has been serving the Cleveland area for over 25 years. Only the BEST QUALITY, BEST VALUE vacuums make it to Strongsville Vacuum, Inc. We specialize in vacuums that last longer, clean better, filter more, and are easier to use than the vacuums you can find elsewhere. Vacuums with trusted names like Miele, Riccar, Sanitaire, Royal, Hoover, Panasonic, Dyson and more! 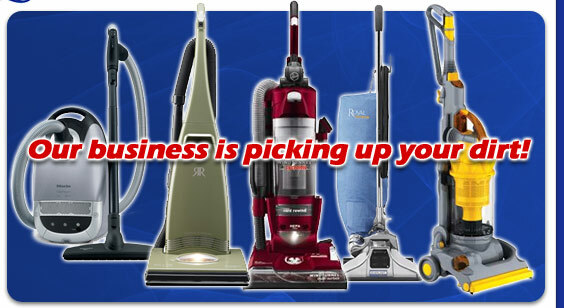 We provide vacuum service and vacuum repair on most brands. Contact us with any questions or stop by our showroom located in Strongsville, Ohio on Pearl Road. Also check out our latest specials by clicking here!